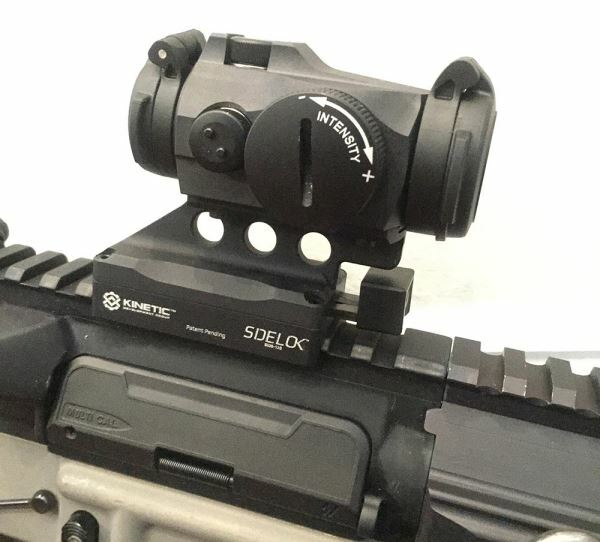 While quick-detach mounting systems arguably have advantages, they often present and unsightly appearance with levers or large knurled knobs protruding. Not only can these catch on stuff, but they can make using side mounted charging handles a pain (literally). To overcome this, KDG have come up with a set of bases (one universal Picatinny, one for the Comp M2 and M3, PRO and CompM4 and M4s and one for the Micro T-1, T-2, H-1 and H-2 red dot sights). 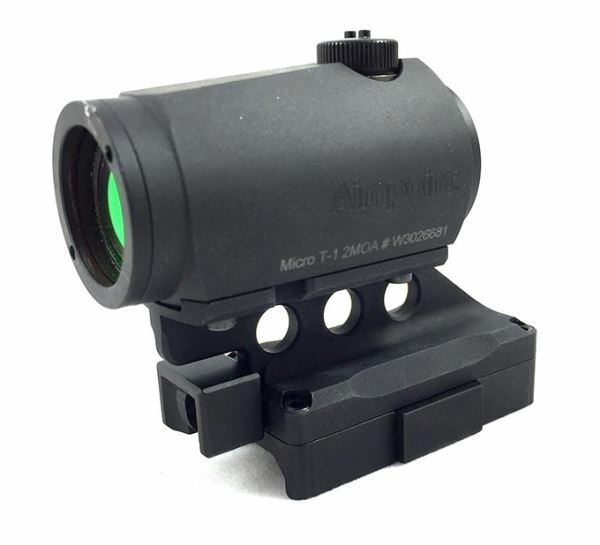 The Aimpoint Micro SIDELOK base will also fit other small red dots manufactured with the Micro’s footprint. 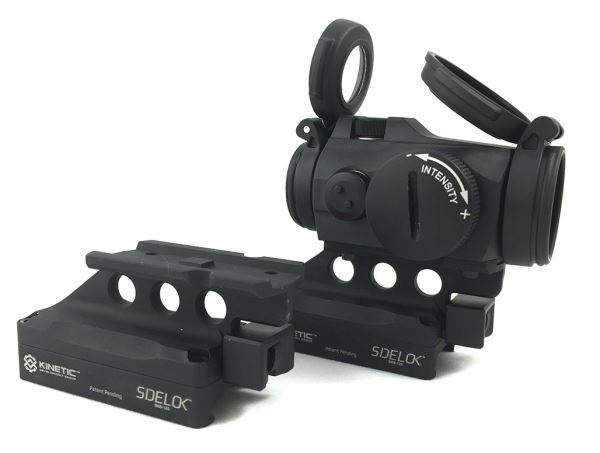 The SIDELOK Micro mount is designed for 1/3 lower co-witness with flip up iron sights on the M4 and M16 flat top weapons. The unique, forward mounted button release can be actuated in seconds, enabling removal of the Aimpoint Micro, even when wearing gloves. The release button itself has a button that must be pressed in to actuate the locking mechanism, making it unlikely in the extreme that it could be operated accidentally by snagging on foliage or gear. The cam locking mechanism ensures positive return to zero, even on some out of spec Picatinny rail systems. It presents and extremely streamlined profile on your rifle or carbine and is hard anodised for years of service in the toughest conditions. This entry was posted in Aimpoint and tagged SIDELOK. Bookmark the permalink.